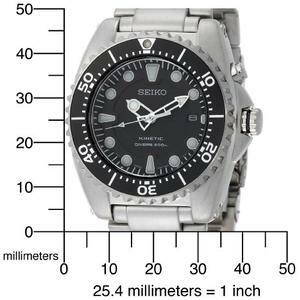 It is no secret that when foks are talking about fine watch brands, the mention of Seiko is almost predictable. In the world of rugged (or badass) watches, Seiko may not be the first name that comes to mind but it does not mean that they are incapable of producing some of the world’s toughest watches. Truth be told, Seiko BFK SKA371 stands among the legendary timepieces ever made. This review is going to bring to light the kind of tormenting torture that owners of SKA371 have put it under (and it survived!). Warning: The revelations that you are about to read are brutal and they are not for the faint hearted. First of all, Seiko BFK SKA371 is an analog watch. 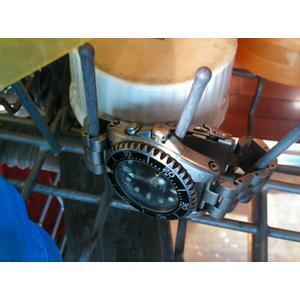 At one glance, no one can tell for sure the real ruggedness that this watch has been made with. It does not boast the flashy bulky features that make Casio G-Shock watches so intimidating to other ordinary wristwatches. 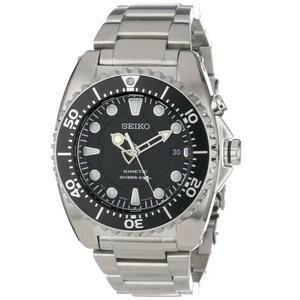 Combination of the fact that Seiko is not particularly best known for producing monster watches and this model being an analog watch it is, most folks would doubt the real toughness of the SKA371. But based on the various stories and tests shared by some owners, SKA371 may not have the most fearsome look but it has a fearless heart that will see it through any extreme treatments thrown at it. The most sadistic test that I’ve seen endured by SKA371 is found here. There is a dozen of tests that were carried out and you could head on there if you want the detailed set-up that goes into every test cases. It is one long thread and for the benefits of those whose time is precious, here is a summary of what I deemed as more interesting test cases and results. Let the Wheel Roll Over It! This is better known as load bearing test. During the test, the BFK SKA371 was placed on the floor and it was rolled over by a Honda Odyssey. The test is equivalent to exerting 1200 pounds of load into this pity watch. Surprise, surprise! The glass showed no sign of crack and it doesn’t crumble under that much pressure. Let It Freeze to Death and Heat It Up! Yes, you heard it right. In one test, the BFK SKA371 was put right inside a freezer (and next to a German sausage). It was left to freeze for close to 24 hours. If the sound of leaving your Seiko inside the freezer sounds crazy enough, what was done to thaw the ice around the watch would be lunatic. 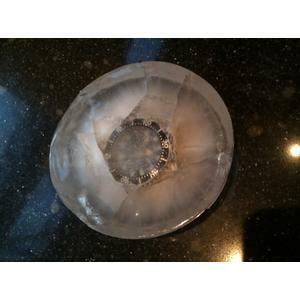 After the watch is taken out, hot water was poured to defrost the ice and the watch was dropped from chest-height to complete the ice defrosting. In another round of test, the frozen watch was placed straight to the hot and steamy dishwasher after it was taken out of the freezer. Guess what the result was? The watch came out unscathed. Accuracy and precision remains intact! To test the watch’s durability against centrifugal force, it was attached to a ceiling fan and was left spinning. It sounds crazy to me and this test should be nowhere close to what G-Shock’s aviation watches have to go through in their tests. But it gives you an idea on the built quality of the hand movement. As expected, the watch passed this test with flying colors. All the hands remains as one piece. In this review, we have Seiko BFK SKA371 has surpassed all the most important traits that define a watch as real tough watch. Priced at slightly above the $200 mark, this is one of the real deal in terms of dollar for dollar comparison. Having passed the above endurance tests (and with flying colors), I believe Seiko BFK SKA371 is a beautiful beast that is worthy of every consideration when one is looking for a watch that is stylish, elegant and fearless! Sounds good. Will see if my son likes it. Birthday gift.